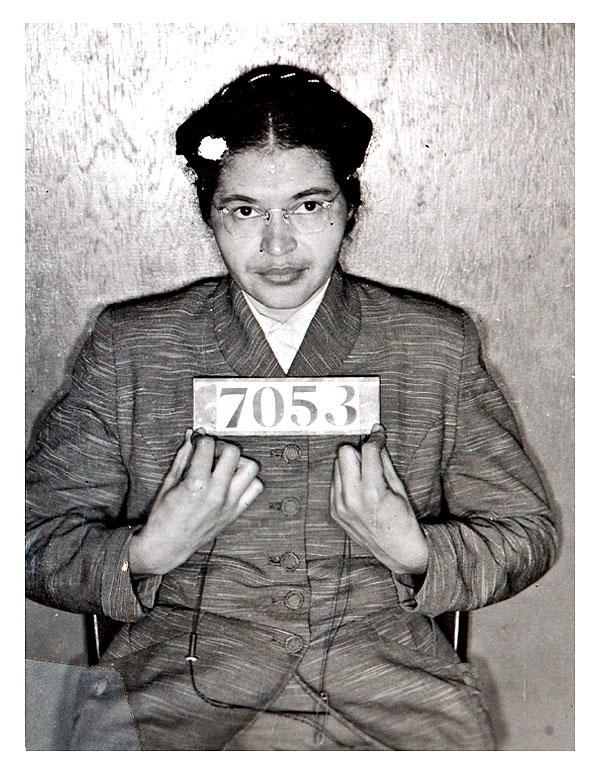 Civil rights pioneer Rosa Parks was photographed by Alabama cops following her February 1956 arrest during the Montgomery bus boycotts. The booking photo, taken when Parks was 43, was discovered in July 2004 by a deputy cleaning out a Montgomery County Sheriff's Department storage room. Submitted by clairpie on Tue, 2011-03-15 15:30. Submitted by roydawgg on Fri, 2010-11-12 02:46. Submitted by silverhairedgranny on Fri, 2010-10-15 21:29.
great woman- trend setter & very brave!